Automatic coil packaging machine and wrapping machine for steel coil with horizontal type packaging. 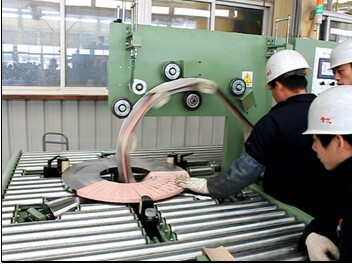 There is able to providing packaging line for coil tilter, wrapper, strapping and stacking. Whole packaging line solution vary from requirement is available in CHINESE MANUFACTURER. Wrapping effect： Product surface is tight and strong. Irregular hose coil can be packed by special designed machine.